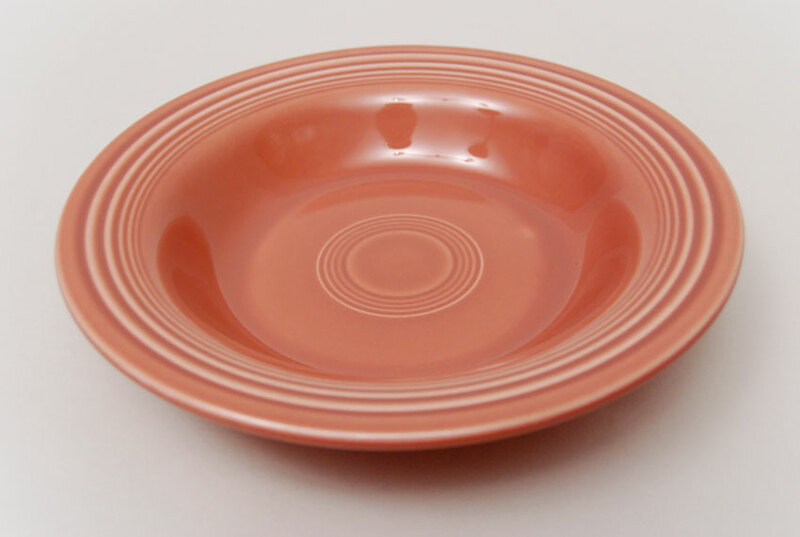 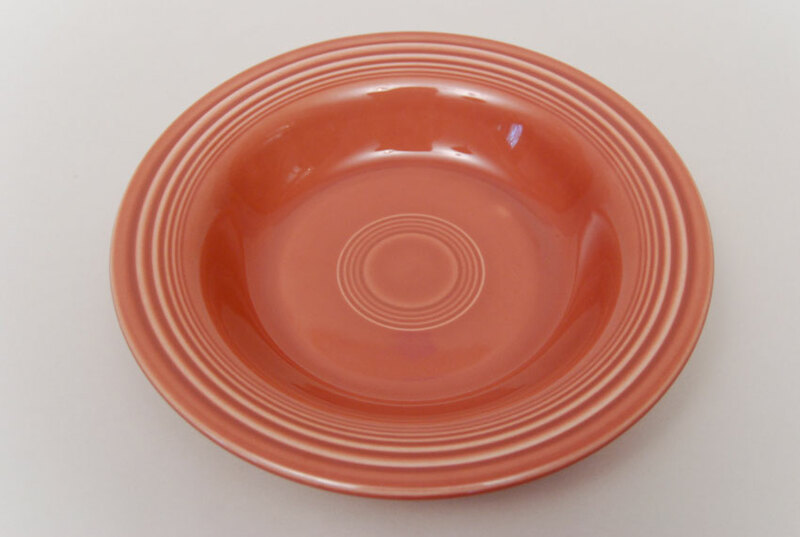 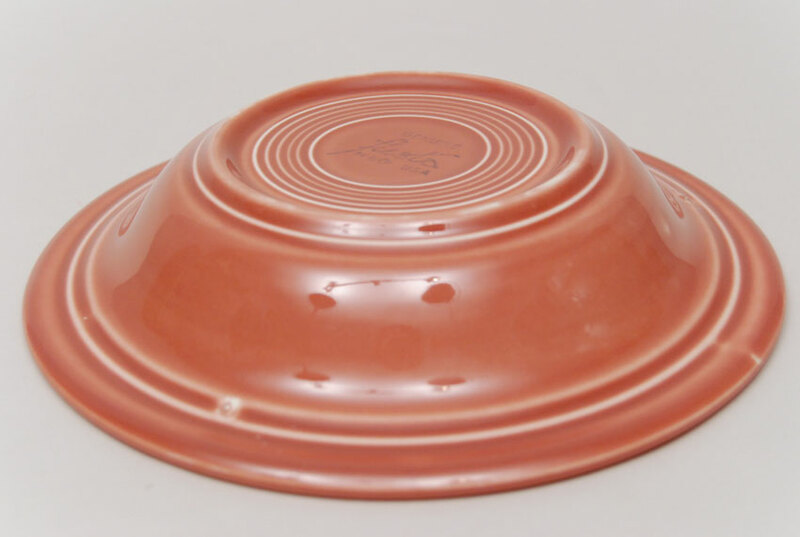 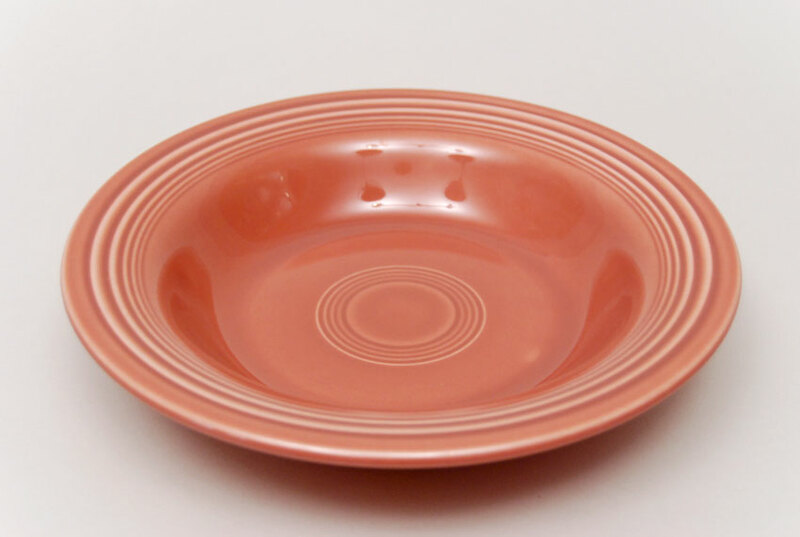 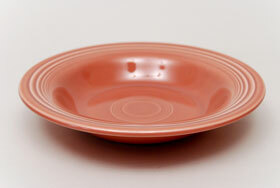 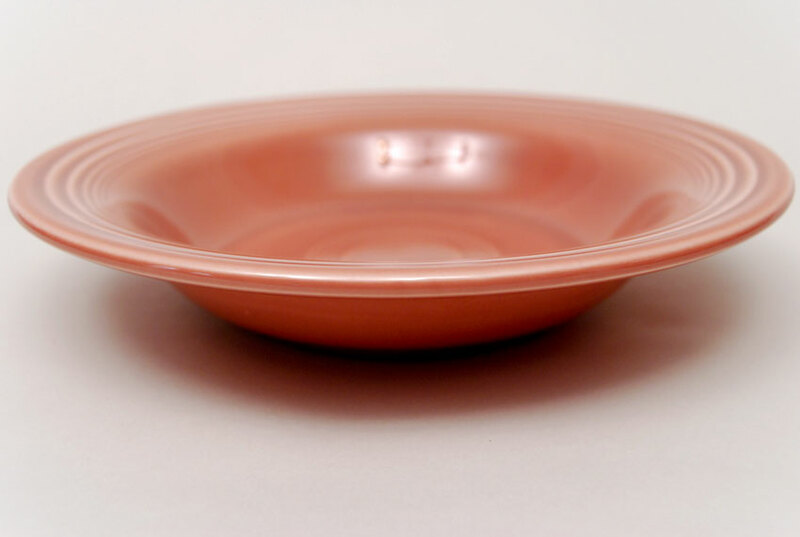 Circa 1950-1959: The Vintage fiesta deep plate is the perfect bowl for so many things. Its wide rim, superbly decorated with bands of concentric rings, along with even more rings that decorate the bottom of the bowl both inside and out, make the simple deep plate a delight to use. This example in the 50s rose is in excellent condition without damage or apparent use. Great shine and ink stamped on the back with the vintage "GENUINE fiesta HLCo USA" underglaze mark.